BOLA produces a range of sophisticated, professional laboratory products constructed from a variety of high performance materials, developed and manufactured by in-house specialists with precision and attention to detail. 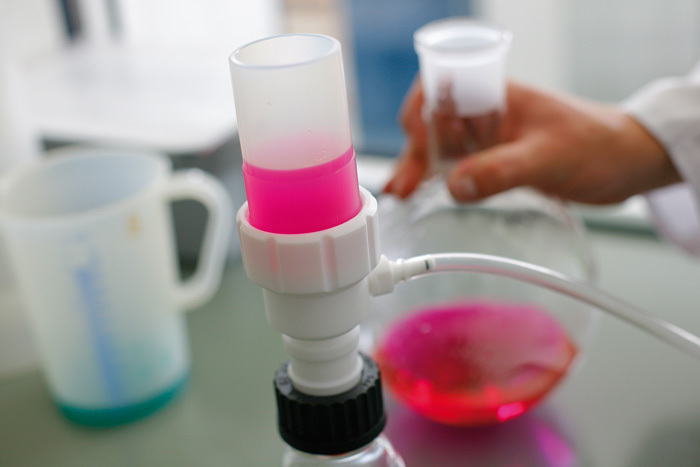 The use of specific materials, such as PTFE, enables innovative product design for stirring and mixing, temperature measurement, distillation and filtration, ensuring excellent chemical and thermal resistance. BOLA benefits from keeping both design and production of their products in-house, allowing them full control over every aspect of the manufacturing process. 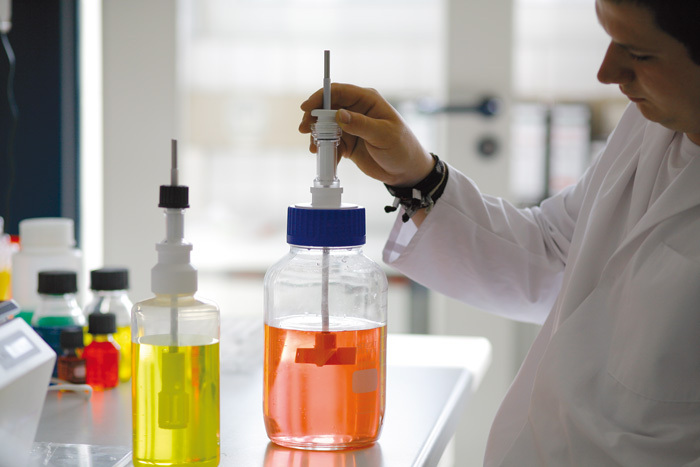 This means that all requirements, from safety to functionality to design, are realised with the efficiency and expertise expected of a competitive modern laboratory products manufacturer. 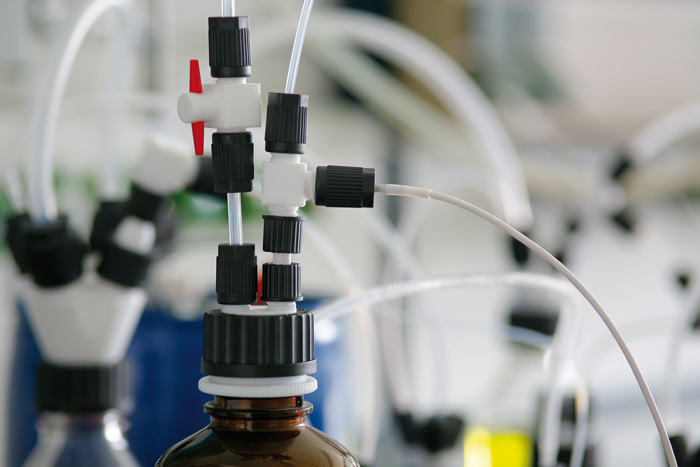 Screw joints and ground joint components, tubing and connectors allow a large number of possible combinations when it comes to creating sophisticated systems for sampling and feed, using standard laboratory bottles and containers. For the distillation of strong acids or alkaline products, BOLA offers reaction vessels with up to 6 litre capacity in either PTFE or PFA. All parts exposed to mediums are either made completely of PTFE/PFA, or jacketed for effective protection. 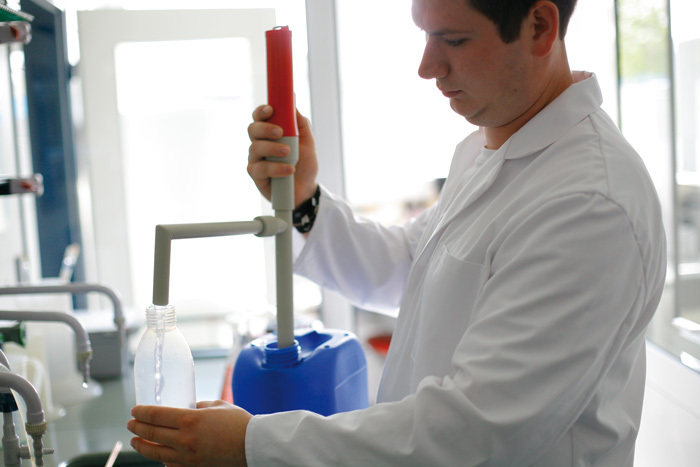 BOLA magnetic stirring bars and stirrer shafts feature a range of different qualities, making them highly suitable for use with an array of other products and vessels. 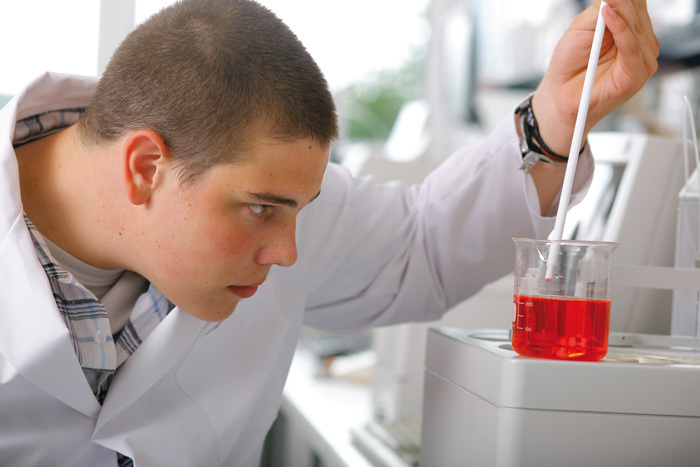 The comprehensive BOLA product line offers high quality labware solutions for a variety of technical and professional needs. BOLA stirrer shafts consist of a PTFE-jacketed stainless steel shaft, and a stirrer blade made of solid PTFE. Stainless steel cores provide high mechanical stability and allows safe fixing in agitators. The stirrer blade is fixed tightly to the stirrer shaft and cannot be loosened by the product. All PTFE-jacketed stirrer shafts can be used at temperatures of up to +250°C without compromising their chemical resistance. With easily combined screw joint elements from BOLA, you can create flexible liquid feed and distribution systems quickly and efficiently. BOLA offers a universal screw joint system, developed specifically for connecting tubes or tubing (PTFE, PFA, FEP) with glass or metal tubes. This system provides a pressure resistance of up to 10 bar at room temperature. The fittings and stopcocks are made of pure PTFE. Assembled with BOLA HT laboratory screw joints, which are resistant to temperatures up to +250C. The universal chemical resistance of the fluoroplastic materials allows the application of the GL screw joint components with almost every liquid and gas. 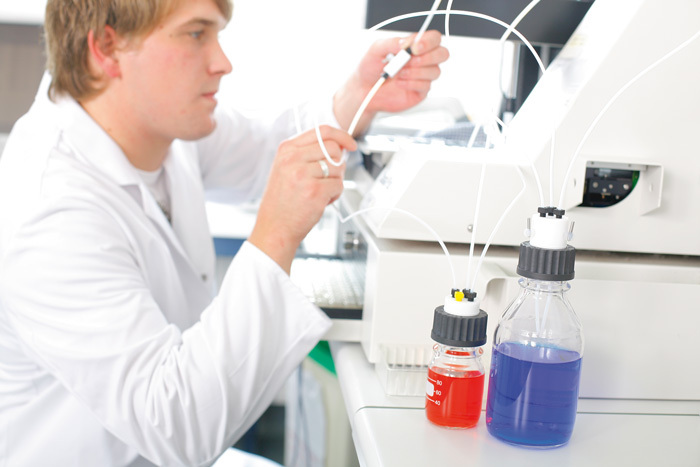 Combinations of different components are possible with GL thread to help create complete labware solutions. BOLA’s economic screw joint system was developed especially for tubing made of PTFE, PFA or FEP, but it can also be used with tubes made of glass or steel. Its function is based on compression rings, which provide a pressure resistance of up to 5 BAR at room temperature. All parts which are exposed to the medium are made of PTFE. Only the nut, which is not in contact with the medium, is made of glass-fibre reinforced PTFE for increased stability. The fittings and nuts have metric threads. All components of this system have a universal chemical resistance, since the product is only exposed to PTFE. 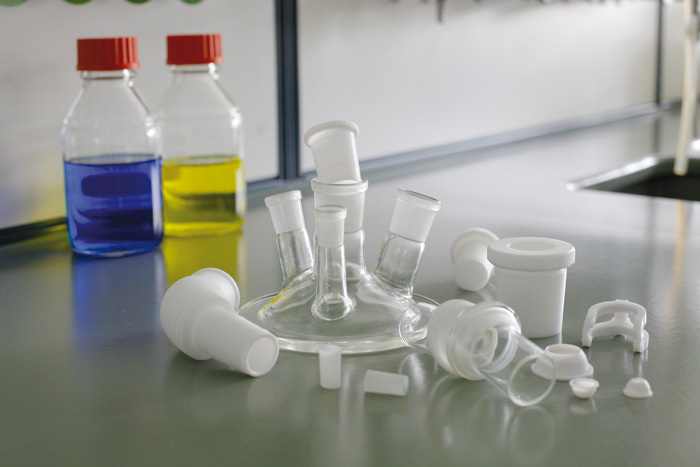 The unique properties of PTFE guarantee that all BOLA products perform well within a high pressure, professional laboratory or industrial environment. All BOLA sleeves can be sealed without the use of lubricants, preventing contamination, and are specifically designed to create watertight, vacuum ground joint connections. Sealing rings on the sleeve exterior and a low friction coefficient of PTFE prevent ground joints from sticking, which reduces the chances of breaking or injury. BOLA sleeves also have excellent chemical resistance, and can be used at temperatures between -200C to +250C. Solid, durable construction ensure they remain functional despite continuous use. BOLA screw joints provide easy handling, sturdy, reliable design and pressure resistance up to 30 BAR, making them a great choice for many HPLC applications. BOLA distributors consist of screw-caps made from glass-fibre reinforced PP, with GL45 threads and a movable body with connection ports. 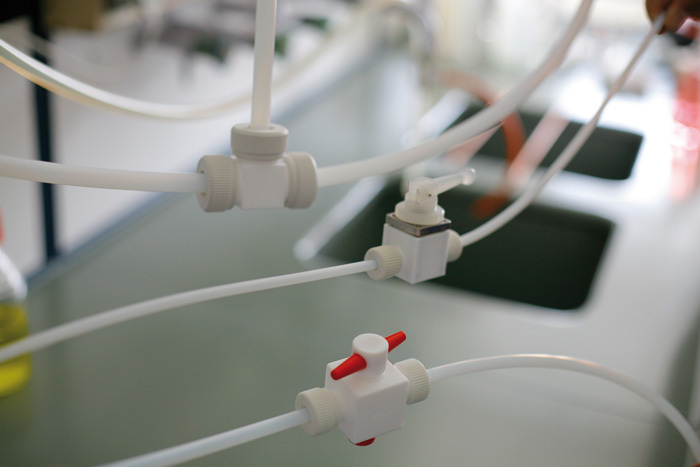 HPLC distributors are usable immediately thanks to the inclusion of all necessary screw joints and gaskets for hard-walled tubing up to 6mm. Tubing up to 4mm can be fixed securely at the necessary immersion depth. Distributors with stopcocks allow the closure of unused ports, and FEP stopcock plugs provide universal chemical resistance. The distributor body can also be turned independently of the screw-cap, meaning an assembled distributor can be removed and attached to a separate bottle without disarranging the tubing. 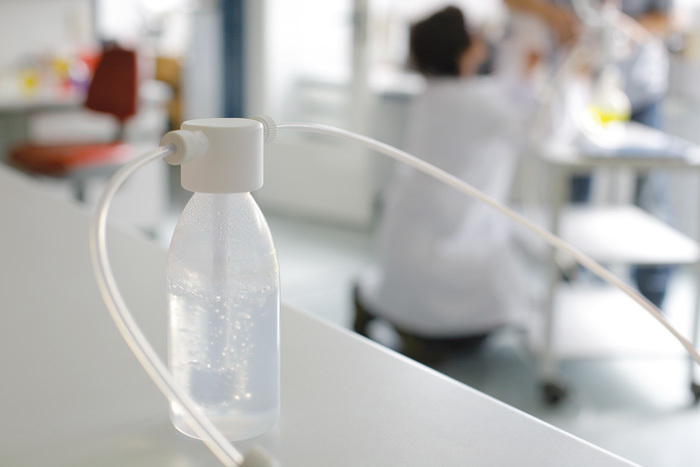 BOLA Tubing, Films and Tiles meet the highest professional laboratory and industrial demands. BOLA tubing is perfectly suitable for use with all BOLA screw joint systems, which fit together to provide complete labware solutions. BOLA conducts rigorous and repeated testing on all of their products, ensuring they meet a strict set of internal standards beyond those currently found in the market. BOLA tubing is available in a variety of lengths and dimensions to suit specific individual needs. Continuous lengths of tubing up to 0.D. 10mm are available, whilst tubing up to 0.D. of 3mm with a minimum length of 30 metres is supplied on reels. BOLA guarantees excellent quality at fair prices, with stricter tolerances than general industrial standard GKV. All BOLA probes are coated with PTFE for maximum chemical resistance, ensuring precise and reliable measurements even with volatile solutions. BOLA temperature probes feature sensors based on platinum resistance changes under temperature influence, making them ideal for a variety of applications. Thermocouples are located at the end of a PTFE-encased stainless steel tube, providing stability whilst maintaining flexibility for optimal measuring. The cables are also encased in PTFE/PFA and fixed tightly to the temperature probe. Connections can be made with LEMO couplings, or by connecting the cable strands directly to a measuring device. BOLA vessels and distillation equipment provide a suitable solution for practically every application, guaranteeing high quality products optimally adapted to specific needs. BOLA vessels are constructed from high performance materials, including PTFE and PFA, and are available in a variety of different sizes and styles. Vessels are also compatible with a large number of other BOLA products, allowing combinations for a number of purposes. 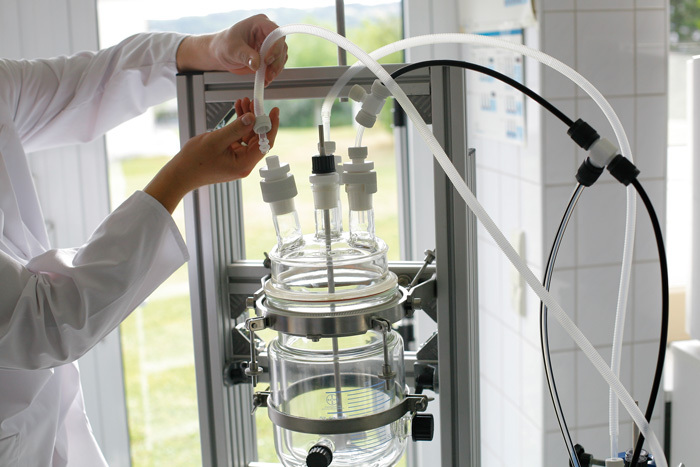 BOLA distillation apparatus are suitable for strong acid and alkaline products, as well as volatile solvents, where the chemical resistance of other materials is insufficient. All parts exposed to a medium are either made entirely of PTFE/PFA or coated with PTFE. For additional security, all BOLA distillation apparatus is equipped with the patented Safe-Lab systems, ensuring safe and secure connections. BOLA’s answer to efficient and safe filtration has been rigorously tested for durability, and resistance to acids, caustic solutions and other volatile chemicals. PTFE particles are melted together for the production of porous rods, tubes and tiles, and pore size is determined by the careful selection of PTFE granules and process parameters. BOLA filtering devices are constructed from fluoroplastic, a non-adhesive surface ideal for durability and easy maintenance. BOLA filtration products are available in a variety of pore sizes ranging from 50um to 0.05um. This makes them suitable for a number of applications, from the filtration of coarse particles and distribution of gas liquids, to ultra-cleaning of solvents and gases. BOLA filters also have excellent temperature resistance, safely ranging between -200C to +260C, and even up to +300C for a limited period. BOLA pumps are versatile, easy to handle, compact and made to meet almost all practical requirements of a modern laboratory, allowing the safe transfer of liquids. The pumps are constructed from PTFE, ensuring that caustic or volatile mediums and solutions are distributed safely. Compact, lightweight design and portable operation systems means that BOLA pumps can be used anywhere, and feature excellent temperature and chemical resistance, making them suitable for a variety of applications, including the quick, low-risk pumping of ultra-pure liquids.